Calling all chefs and culinary afficionados: Famous Chef Gordon Ramsey (also known for his show Hell’s Kitchen) is back for a third season of Master Chef. 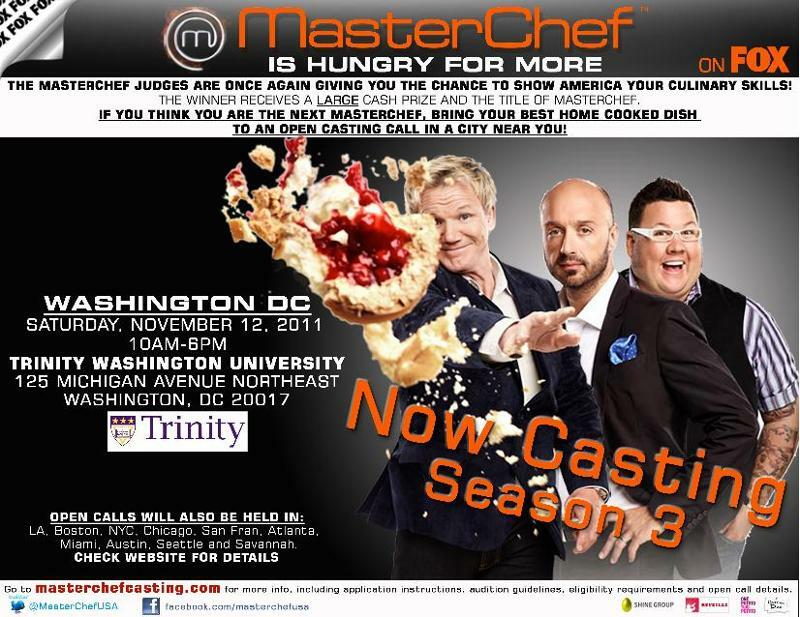 This time, the casting crew will be in Washington DC to hold a Casting Call. The judges are looking for presentation, flavor, originality and creativity, but most importantly, every contender must possess an immense passion for food. Casting is Open to the Public. Just show up and stand in line. No phone calls. No talent representation necessary. They are looking for real people! Good Luck!